Imagine a robotic stuffed animal that can read and respond to a child’s emotional state, a commercial that can recognize and change based on a customer’s facial expression, or a company that can actually create feelings as though a person were experiencing them naturally. 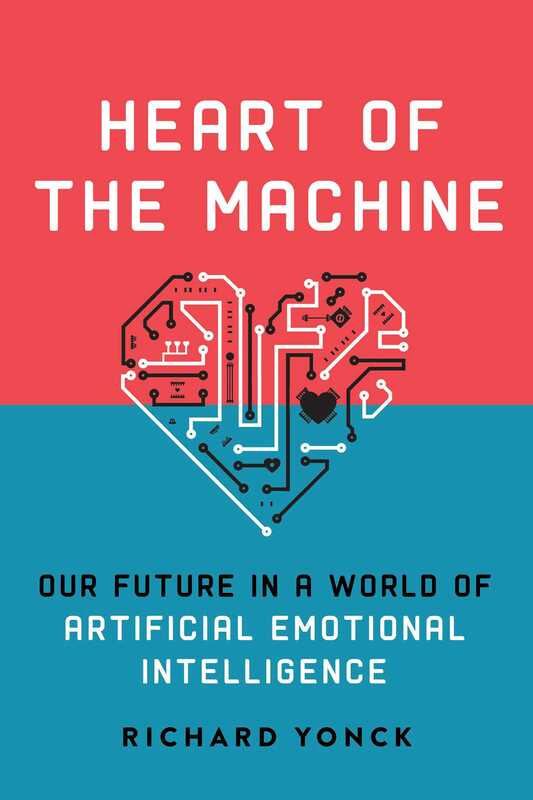 Heart of the Machine explores the next giant step in the relationship between humans and technology: the ability of computers to recognize, respond to, and even replicate emotions. Computers have long been integral to our lives, and their advances continue at an exponential rate. Many believe that artificial intelligence equal or superior to human intelligence will happen in the not-too-distance future; some even think machine consciousness will follow. Futurist Richard Yonck argues that emotion, the first, most basic, and most natural form of communication, is at the heart of how we will soon work with and use computers. Richard Yonck is a futurist, author, and speaker with Intelligent Future Consulting based in Seattle. An award-winning author on developing trends and technologies, he has written features and cover stories for numerous publications and web sites, and is the computing and artificial intelligence contributing editor for the long-running The Futurist magazine. He has been published in Scientific American, World Future Review, Fast Company, Wired, Psychology Today, H+ magazine, American Cinematographer, and the Seattle Times. Very important for any decision-maker and a must-read for corporations for planning their road map. It is also recommended to everyone who is curious enough to understand the future. Even the very near future.” Yoram Levanon, chief science officer at Beyond Verbal Communication, Ltd.